Why do companies finance their projects through SpaceStarters and not through a bank? Banks can only finance companies in a comparatively rigid framework. It is often difficult for companies to meet the desired parameters. Financing via SpaceStarters extends the financing mix and enables companies to adequately finance the planned growth. The use of SpaceStarters is free of charge for investors. What data do I need to provide during registration and investment process, and what about my privacy? When is the best time to invest in a project? The best time is when you have informed yourself extensively about the project, are convinced of its opportunity, understand the risks, and can financially tolerate a total loss of your investment. How long do I have time to invest in a company? You can invest in the campaign on SpaceStarters during the lifetime of a campaign. The duration of a campaign is usually between 90 to 180 days, depending on the financing volume. Can I also invest from abroad? Can I also invest anonymously? Yes, you can either have your name and the amount invested displayed or remain completely anonymous. Why is my full address and my tax number needed? Your full address and tax number are required by the borrower (company) to report the interest-rate tax on your loan interest, with the tax number to the tax office. Is it possible to invest as a company? Yes, that is possible. Since the "Kleinanlegerschutzgesetz" (Small Investment Protection Act) came into effect, amounts over € 10,000 must be invested by a corporation. For private individuals the Act means that the investment level is limited to € 10,000. What is the legal form of investment on SpaceStarters? Can I see the investment contract in advance? Yes that is possible. There are different contracts for the three different investment profiles on SpaceStarters, which can be reviewed on the campaign profile after the registration. Where can I find explanations of the contract details, e.g. Subordinated loan, final interest rate, bonus interest and other terms? In order to better understand the detailed investment contracts, we have prepared an explanation for each contract. Here you can read on 4 pages in laymans terms about what the clauses in the contract mean for you as an investor. The summary for the investment agreement High & High can be found here (LINK), the summary for the investment agreement Medium & Positive can be found here (LINK), the summary for the investment contract Low & Solid can be found here (LINK). Do I invest in a project or a company? You invest in a company. The company uses the invested amounts as described in the investment plan of the business plan. The capital is not allowed to be used for the settlement of old liabilities. Startups and innovative medium-sized companies are applying to SpaceStarters. The companies are undergoing a rigorous screening process that we have developed based on our long-term investment experience. If the screening process is positive, companies are allowed to create a crowdfunding campaign on our platform. Further information about our screening process, you can find in the Project Terms and Conditions (LINK) or here (LINK). Can I withdraw from my investment? You have a 14-day legal right of withdrawal. During this time, you can withdraw from your investment without giving reasons. After the end of the revocation period your investment is valid, a resignation is no longer possible. What happens if I have invested in a company, but the funding threshold is not reached? If the "Funding Threshold" is not reached, your investment will be returned within 14 days of the end of the campaign. What happens at the end of the campaign? If the funding threshold is reached, the campaign can be extended to reach the funding target. When the funding threshold is reached, the loan agreements between the investors and the company are effective and the company can use the accumulated capital. If the funding threshold is not reached by the end of the campaign, the investors will receive back the full amount of the invested money. What is the difference between the "Funding threshold" and the "Funding Limit"? The funding threshold is the minimum sum that must be collected before the company's accumulated capital can be used. The funding limit is the maximum amount that a company wants to collect. What are the payment options for my loan? You can either directly transfer your investment online via SOFORT Überweisung, or choose "manual transfer" as payment form. In this case, you can make the transfer as you would do also with other transfers. What exactly do I get for my money? You get a return on your invested capital (positive business development presupposed) and regular reports on the development of the company. With your financial commitment, you enable the realization of entrepreneurial goals and the creation of jobs. What rights do I have as an investor? As an investor, you are a lender and have information rights, interest rates, rights to loan repayment and voting rights with regard to changes to the loan agreement. What securities do I have as an investor? When investing in a company, there is a chance of a total loss of your investment. Please, therefore, inform yourself extensively about the company and the planned project. The business plan, the financial analysis, the risk statements as well as the investment profiles used by SpaceStarters are helpful. Details on investment profiles can be found here (LINK). What are my obligations as an investor? Investors are required to pay the investment amount. In addition, you must keep your address and bank details up-to-date so that the company knows how to reach them, or where payments are to be made. What risk do I have as an investor? In the case of an investment, there is the possibility of a total loss. Please also refer to our comprehensive Risk Warning (LINK). The professional and transparent presentation of the investment projects on SpaceStarter as well as our investment profiles help you assess the risk of a single project. How are the returns from an investment contract taxed? Returns from a subordinated loan is taxable income. How these are being taxed is depending on the tax residence of the investor. In Germany, these returns are subject to withholding tax. How long is the duration of the investment contracts? The duration of investment contracts is between 24-60 months, depending on the campaign and the investment profile. The duration can be in special cases also longer. Can I cancel or sell my loan before the end of the loan period? Due to the qualified subordinate loan, you can not cancel the loan during the term. A sale of the loan is possible at any time as long as there is a buyer. What happens at the end of the loan term? High & High: The loan is repaid at the end of the term in 12 monthly installments. Medium & Positive: The loan is repaid at the end of the term in two installments. The first installment is due at the end of the term, the second installment six months later. Low & Solid: The loan is repaid in full at the end of the term. Repayments during the term are possible. What happens to my investment in case there are delays in the completion of the project? Delays in the development of the project are relevant to you as an investor only if they result in the company being unable to pay loans and interest in accordance with the contract. If this is the case, the loan continues to run on the basis of the subordinated loan and is subject to further interest. In this case, the company will contact all investors and submit a concrete proposal on how to proceed. Are investors liable in a possible insolvency of a company? No, investors are not liable in case of insolvency. However, in the event of insolvency, investors are likely to experience a total loss of their investment. What is a profit-/ earnings-report? In the profit-/ earnings-report, the company explains the financial result for the past financial year and describes the interest rate for the investor. Do I always get a profit-/ earnings-report from the companies in which I have invested? Yes, after the completion through the company, they are available on SpaceStarters.com in the investor relations area. When do I get my interest payments and loan repayments made? High & High: Interest (rate on the increase in company value) are paid at the end of the term. The loan is repaid at the end of the term in 12 monthly installments. Medium & Positive: Interest is paid annually (percentage of the company's turnover) and at the end of the term (share of the enterprise value increase). The loan is repaid at the end of the term in two installments. The first installment is due at the end of the term, the second installment is six months later. Low & Solid: Interest is fixed in the investment contract and is paid quarterly or semi-annually. The loan is fully repaid at the end of the term. Repayments during the term are possible. How is the company valuation determined? The company valuation is determined by the companies on the basis of selected valuation methods. You can find out more about the company assessment here (LINK). Who can I contact in case of specific questions about a campaign? You can leave a comment on the campaign profile. You can send a private message to the campaign leader. Samuel Gerlach is at your disposal for all your questions concerning crowdfunding campaigns on the SpaceStarters platform. For press, media and marketing, please contact Marco Kaufmann. How do I apply for a campaign on SpaceStarters? Click on the "Apply now" button under "For companies" and send us an email together with a short presentation about your company and your project. In case of success, when the "Funding Threshold" is reached and you can use the funds invested, SpaceStarters will receive a reimbursement for the placement of 9% of the placed capital. An additional fee of 1%/ year (max. 5 years) is payable for investor communication and pooling. What are the benefits of SpaceStarters for companies? 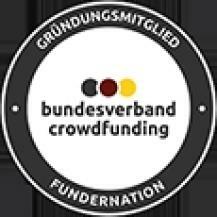 SpaceStarter is the first Crowdinvesting platform in Germany, run by experienced investors who have more than 18 years of professional investment experience. Crowd financing at SpaceStarter can be combined with venture capital and business angel financing. The contractual arrangement in the form of subordinated loans is an attractive form of financing for companies. A fundraising campaign on SpaceStarters creates great attention and ensures a significant increase in the public perception of a company. The company is expanding its reach, which has a positive impact on all sales issues. Is crowdfunding only suitable for consumer goods? Crowd financing is open to any company. Also those who offer innovative products or services with B2B business models. Your business plan needs to be convincing and the risk / return structure attractive to investors. SpaceStarter offers its investors the unique opportunity to analyze the risk-return potential of an investment and to invest in 3 different investment profiles. Therefore, SpaceStarters is also an interesting partner for you if your company does not deal with consumer goods. Does Crowdfunding work just for startups? Medium-sized businesses can also benefit from crowdfunding. The SpaceStarter portfolio includes three categories of financial instruments (LINK) that are tailor-made for different growth phases. 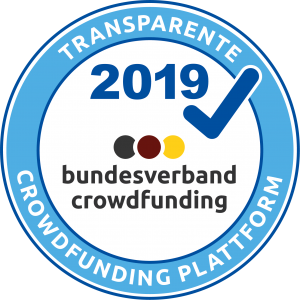 Can more than EUR 100,000 be collected on crowdfunding platforms? The subordinated loans are not equity and therefore there is no legal restriction on the investment amount. Your campaign and business plan must be convincing and the risk / return structure attractive to investors. Then, even much higher amounts can be financed by the crowd. What is the minimum and maximum funding sum for a Crowdfunding on SpaceStarters? A Crowdfunding on SpaceStarters is possible from a financing goal of 50,000 €. The maximum funding amount is € 2.5 million. Is crowdfunding compatible with venture capital or business angel funding? Startups and innovative medium-sized companies are applying to SpaceStarters. The companies are undergoing a rigorous screening process that we have developed based on our long-term investment experience. If the screening process is positive, companies are allowed to create a crowdfunding campaign. For further information on our screening process, please refer to the Project Terms and Conditions (LINK) or here (LINK). Are companies, as borrowers, obliged to withhold the withholding tax on the investors and to pay them to the tax office? No, the companies are not obliged to withhold interest rate tax and pay it to the tax office. The proceeds from the loan are interest within the meaning of § 20 paragraph 1 no. 7 of the Income Tax Act (EStG), which are subject to withholding tax, but which must be reported to the tax authorities by the borrower (investor) within the scope of the income tax declaration. We advise the company to point out to investors that interest is to be declared and taxed in the income tax declaration. How must the subordinated loans be reported in the balance sheet? Subordinated loans with profit participation (subordinated loans) are debt capital and must be shown in the balance sheet accordingly. Since they have a qualified subordinate, i.e. in case of insolvency, they rank behind the demands of the external creditors of the company and replace simultaneously equity. It is advisable to refer to the subordination in the annual financial statements. This can be done, for example, in the appendix. If a so-called over-indebtedness balance is to be generated on the basis of a crisis situation, then the subordinated loans are counted as equity due to the qualified subordinated loan. Wen kann ich bei weiteren Fragen kontaktieren? Please contact Marco Kaufmann for press, media and marketing topics.